Sony 4K VPL-GT100 line-up of professional 4K technologies now includes a new compact 4K projector. The Sony 4K VPL-GT100 model delivers the same ultra high 4K resolution (4096 x 2160, or 8.8 megapixels) of its larger counterparts used in movie theaters and commercial applications, with a new form factor for easier installation in simulation (flight simulators and virtual training), industrial design (manufacturing, automotive design), scientific visualization, 4K content viewing, entertainment (amusement parks, planetariums and museums) and a range of government uses, including command and control and more. The VPL-GT100 projector is based on the same SXRD 4K design as its award-winning home theater counterpart, model VPL-VW1000ES. The VPL-GT100 professional 4K SXRD projector's compact (44-pound, 1.5 oz) design is achieved through the combination of an optical engine that uses a small format, 0.74-inch SXRD panel and a highly integrated circuit. The projector's compact design allows integrators to create a projection field with high-density resolution in a reduced system size, which was difficult to accomplish with conventional projectors. For added installation flexibility, users can install the projector in either portrait or landscape mode, with no effect on lamp performance. Using two DisplayPort inputs (2048 x 2160/60P x 2), the projector can show content at up to 4K/60P with 2000 lumens color light output. 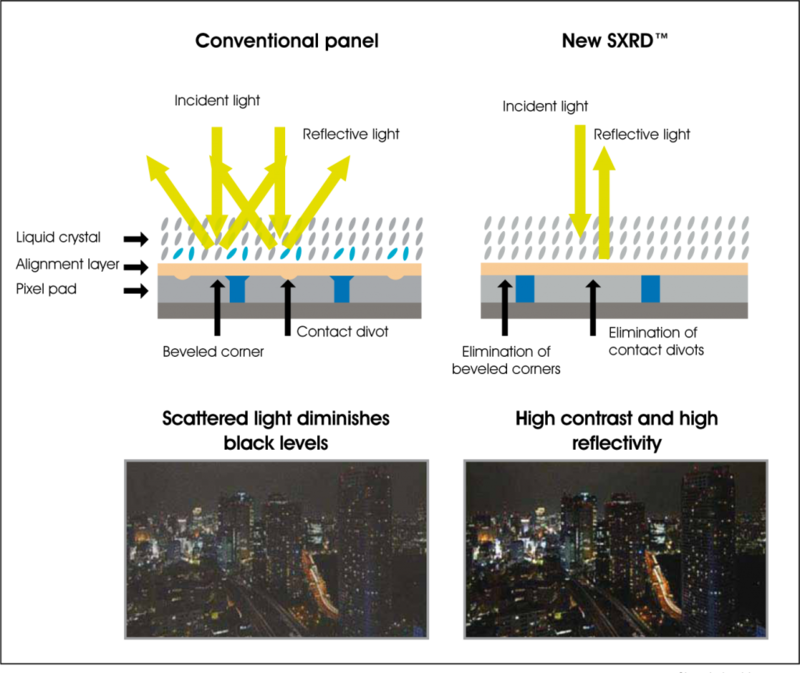 The projector's native 4K SXRD panels produce outstanding native device contrast, reproducing deep blacks by improving the flatness level of the pixel surface. When combined with Sony's Advanced Iris3 technology, this projector can achieve a 1,000,000:1 dynamic contrast. 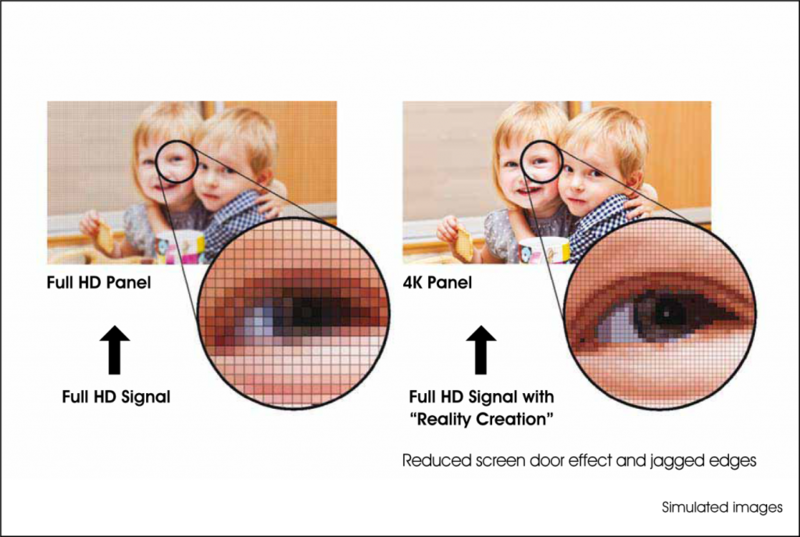 The projector's 4K native SXRD panels produce outstanding native device contrast, which reproduce deep blacks by improved flatness level of the pixel surface. 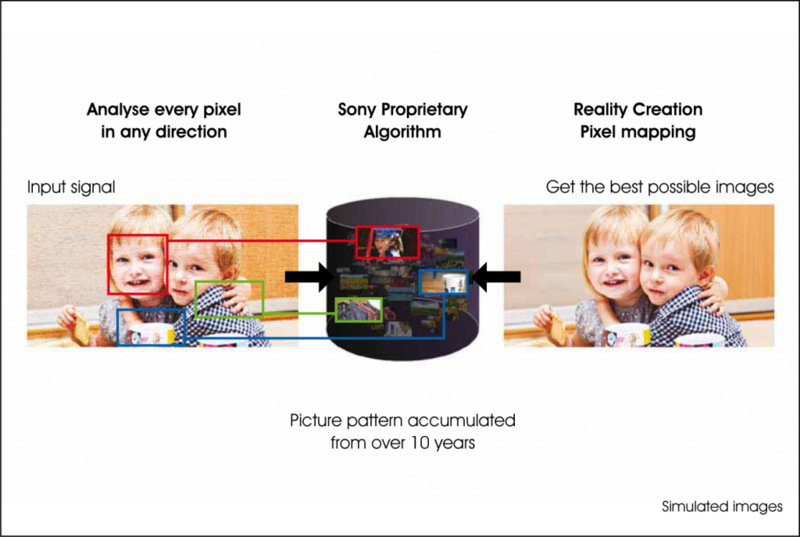 When combined with Sony's Advanced Iris3 technology, the projector can achieve an incredible 1,000,000:1 dynamic contrast for the best ever images. High brightness of 2,000lm for optimum images in the home With 2,000 ANSI-lumen brightness, the VPL-GT100 delivers nearly twice the output of previous Sony home cinema projectors. Combined with 4K SXRD panels, the projector is able to offer both higher brightness and higher contrast ratio for optimum viewing in the home environment. â€œReality Creationâ€ 4K up-scaling to watch Blu-ray Discâ„¢ content in 4K In addition to supporting 4K native resolution, the VPL-GT100 projector also features an exclusive Super Resolution 4K upscaler â€œRealityCreationâ€ that dramatically enhances high definition 1080p content, allowing viewers to get the most from their existing Blu-ray Discâ„¢ libraries at home. 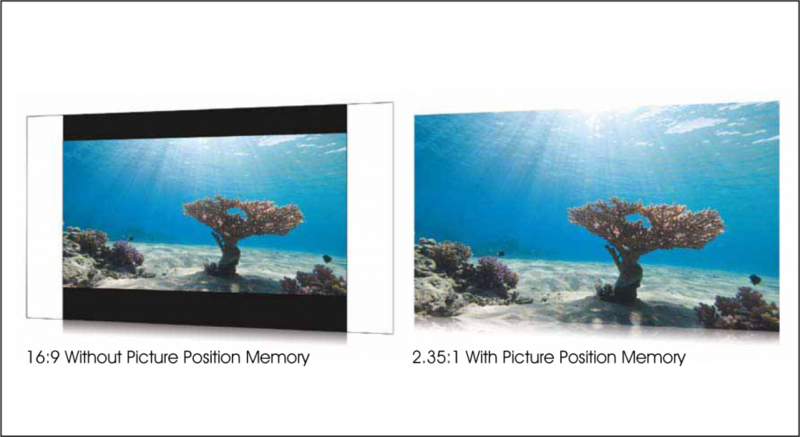 For greater versatility,it can also display Full HD 3D and 4K up-scaling of 3D movies. for richer picture quality the VPL-VW1000ES offers a wider than normal colour space, enabling it to show the fuller colour information provided by the professional DCI colour specification and the Adobe RGB colour space. 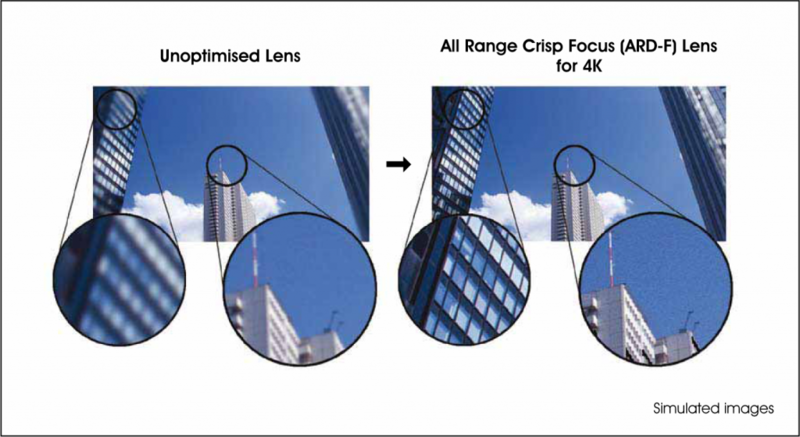 Sony has developed the 4K All-Range Crisp Focus (ARC-F) lens specifically for the VPL-VW1000ES projector to produce optimised 4K images. By incorporating this super high-resolution lens, high precision and detail are seen in all corners of the image. The three 4K native panels in the projector utilise Sony's panel alignment with precision alignment expertise to produce precise convergence of the three RGB colour pictures, ensuring the three color images are perfectly set up. To bring the thrill of watching fast-paced, cinematic action to the home, the VPL-GT100 features a technology called Motionï¬‚ow, which makes motion much smoother. 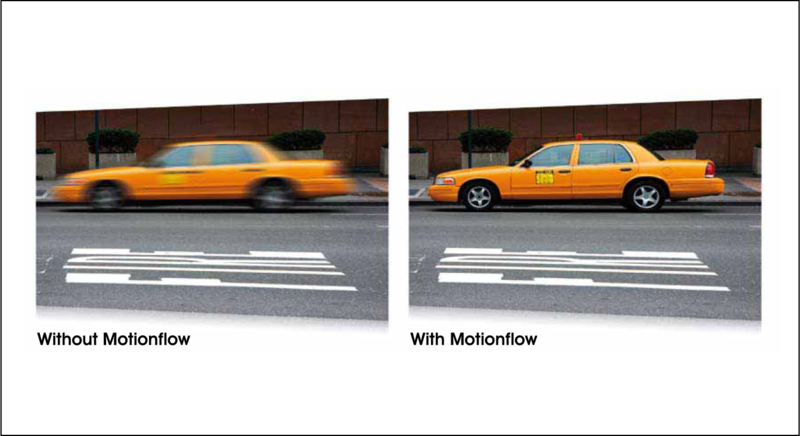 This innovative process creates and inserts artiï¬cial frames, ï¬rst comparing key visual factors on successive frames â€“ then calculating the split second of â€˜missing' action in the sequence. This action mimics that of actual movie projection, viewers will experience movies and sports with a greater sense of realism than ever before. The VPL-GT100 combines a 2.1 zoom powered lens to provide the maximum flexibility for home installations, including high ceiling mounting. A wide lens shift range of 80% vertical and 31% horizontal reduces the need for additional platform extensions in ceiling mounts. 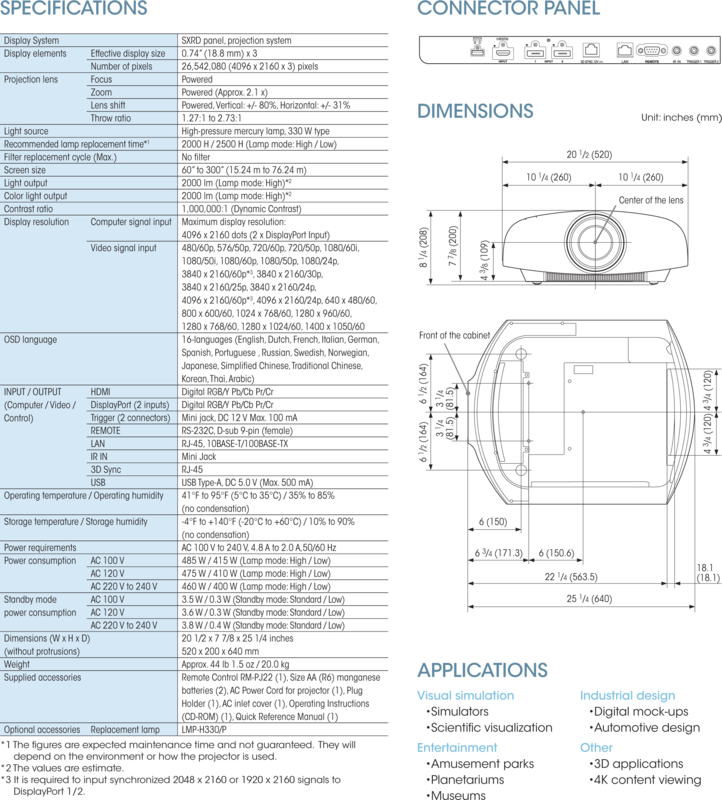 The VPL-GT100 has picture position memory, which memorises the position of the zoom lens. Users can match a movie's aspect ratio, including 16:9 and Cinema scope, and store the settings in the projector for easy recall. 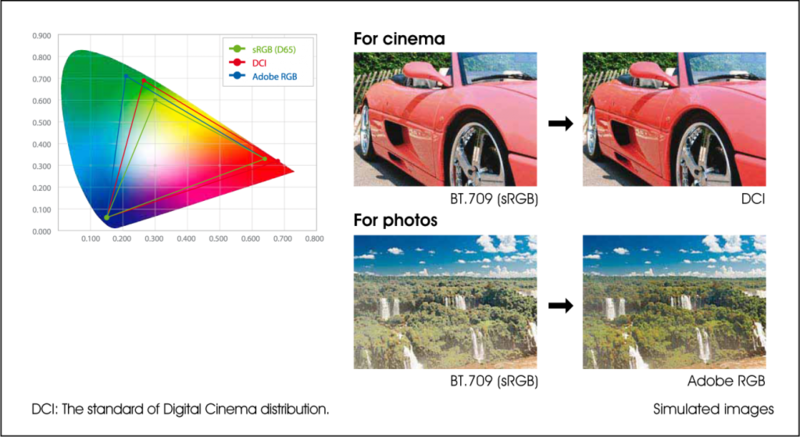 The VPL-GT100 offers a wider-than-normal color space to project the full color information provided by the professional DCI color specification and the Adobe RGB color space. 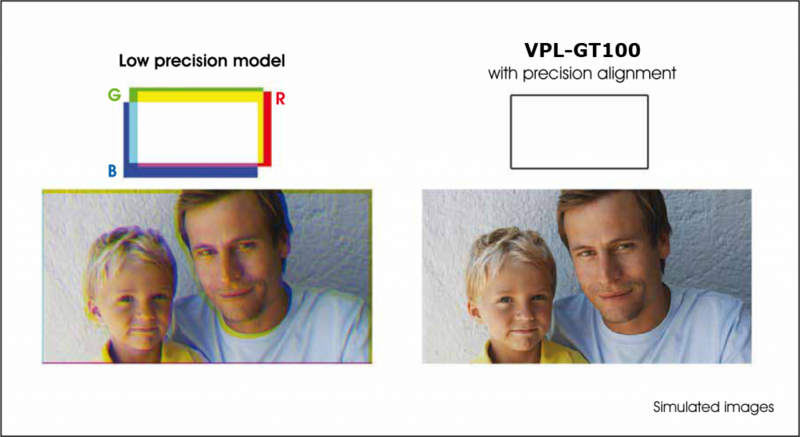 Sony's Dark Frame Insertion technology enhances realism and reduces visible smear, and the projector uses a new image processing technology to provide minimal transport delay.The VPL-GT100 is planned to be available in January 2013, with pricing available upon request. 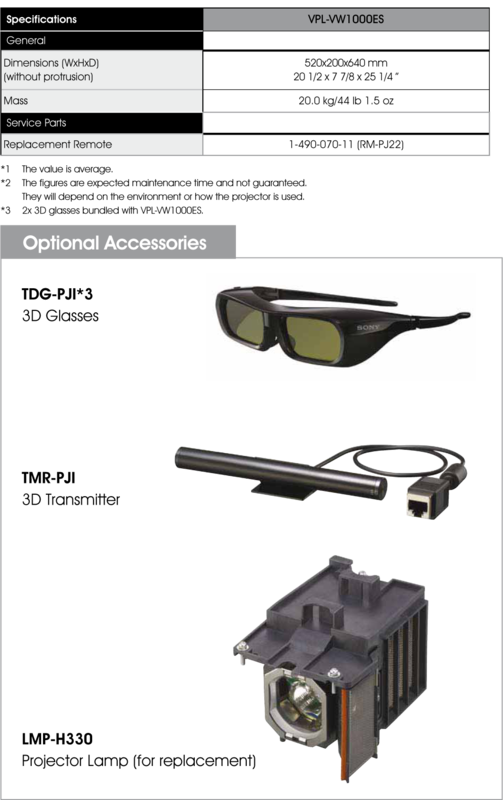 Sony will exhibit the VPL-GT100 for the first time at the I/ITSEC 2012 show (Dec. 3 to 6, 2012 in Orlando.